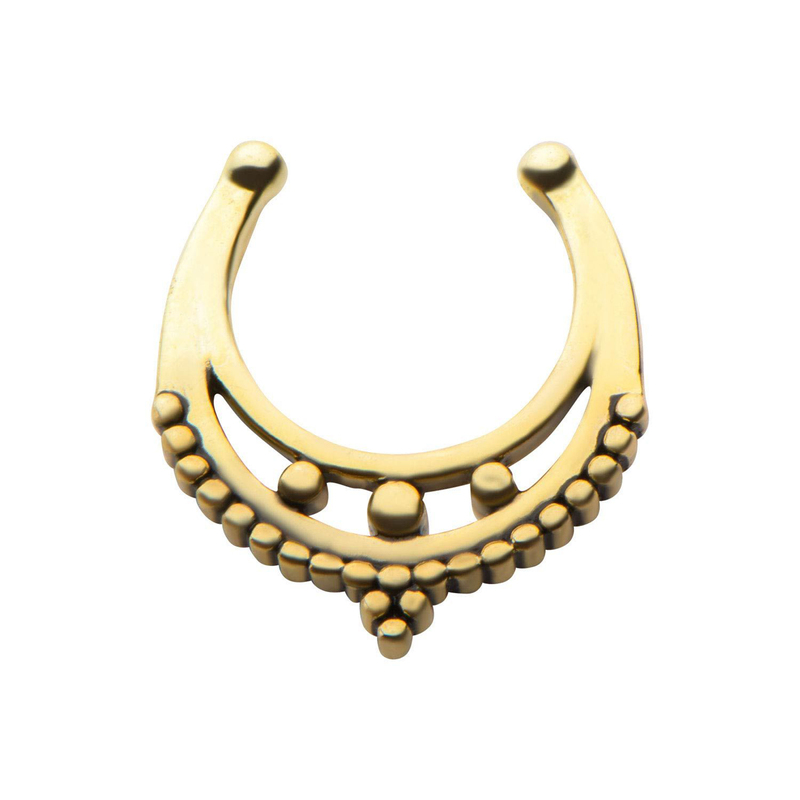 Antique Gold Plated Mini Beaded Brass Faux Septum.Inspired by decorative tribal and Bali designs these new faux septum pieces provide a comfortable fit with a ball on each end. Just slide onto septum and squeeze open or close to adust. Sold Individually.